That is great news indeed and I would be very interested in receiving copies of the documents in your partner’s possession. 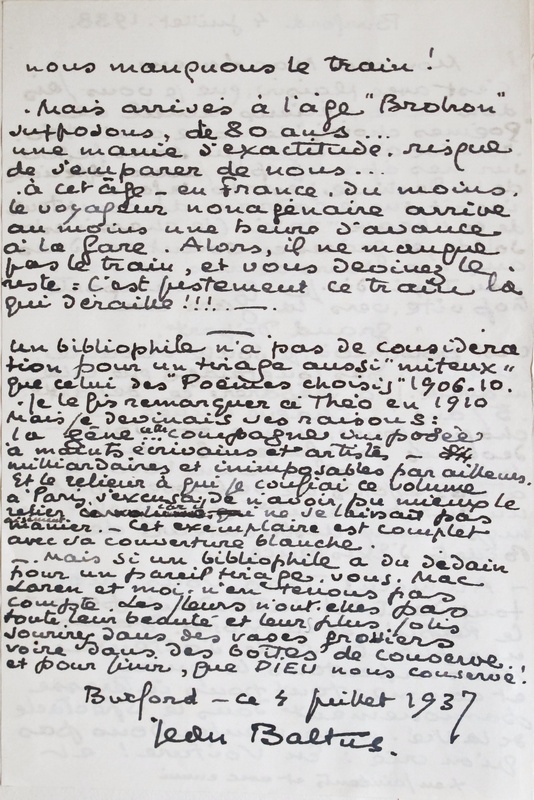 I would like to publish a series of articles on the friendship and collaboration between Malcolm and Théo Varlet. I believe the documents in question will be of great help. In exchange, I could send you digital copy of an original photograph taken of Malcolm and Théo Varlet in the summer of 1935. I am Jean Baltus’ grandiece. 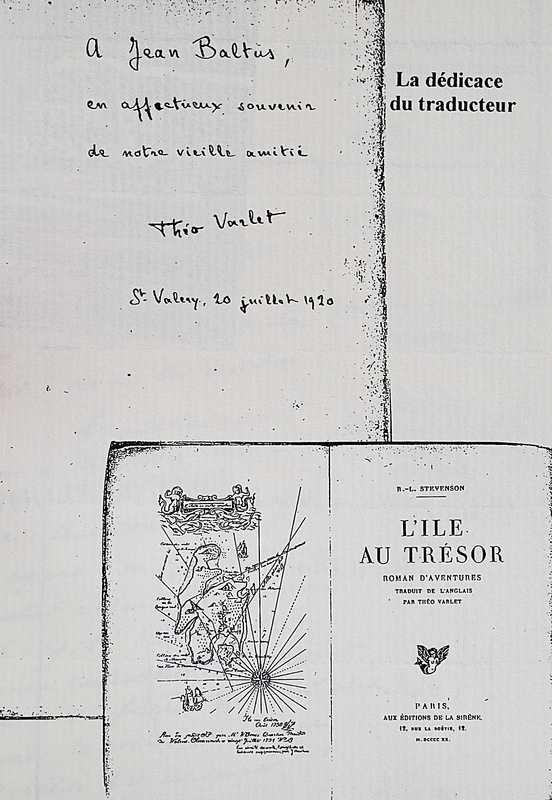 Theo Varlet and Jean Baltus wrote each other very often. For Jean Batlus, these letters were very important, he wanted to let it to Malcolm Shaw Mac Laren. 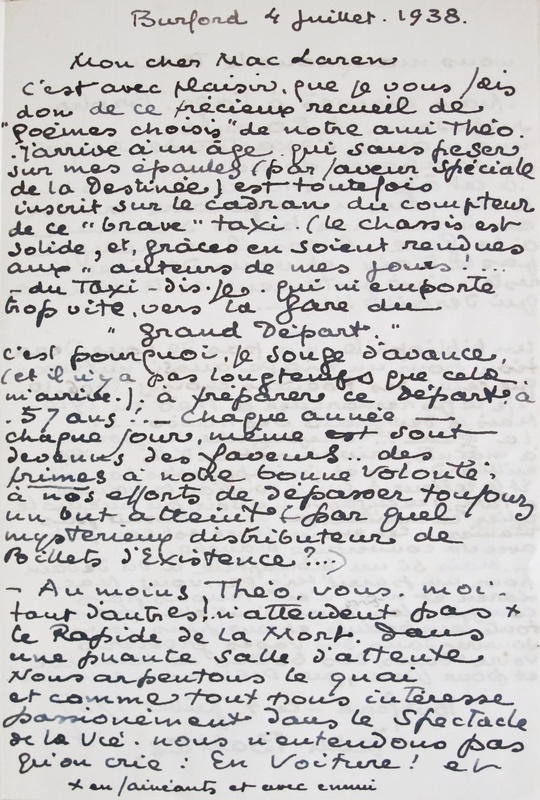 Did Malcolm Shaw Mac Laren has this correspondence between Jean and Theo? 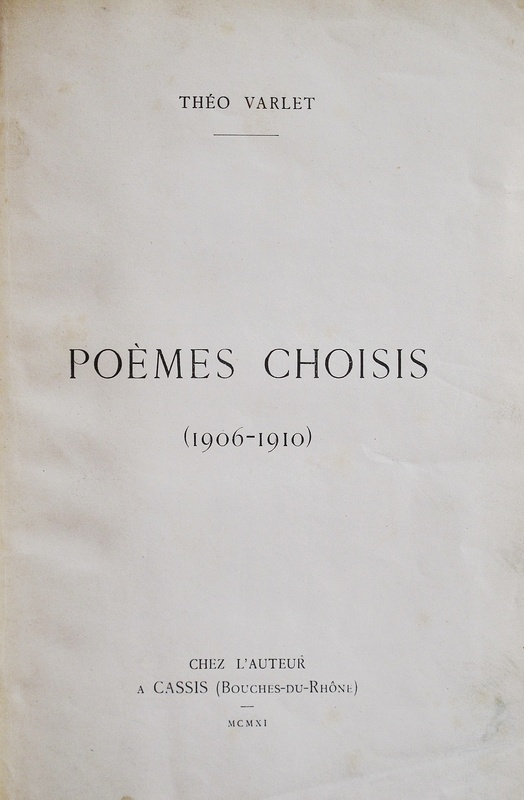 I’m very interested because we are editing a catalogue about Jean Baltus’ life and work whose release date would be on April 2016. From Summer 1938, Jean Baltus was at Malcolm Shaw Mac Laren’s home at Burford while he was at Cassis. À propos du mot « inimposables », il faut prendre ce néologisme dans le sens « qui ne peuvent pas être soumis à l’impôt ». Je ne pense pas avoir déjà laissé un commentaire sur votre site, aussi profiterai-je de celui-ci pour vous remercier de nous faire partager vos recherches. Je suis très heureux de vous compter parmi mes lecteurs. Tout commentaire de votre part sera toujours le bienvenu.